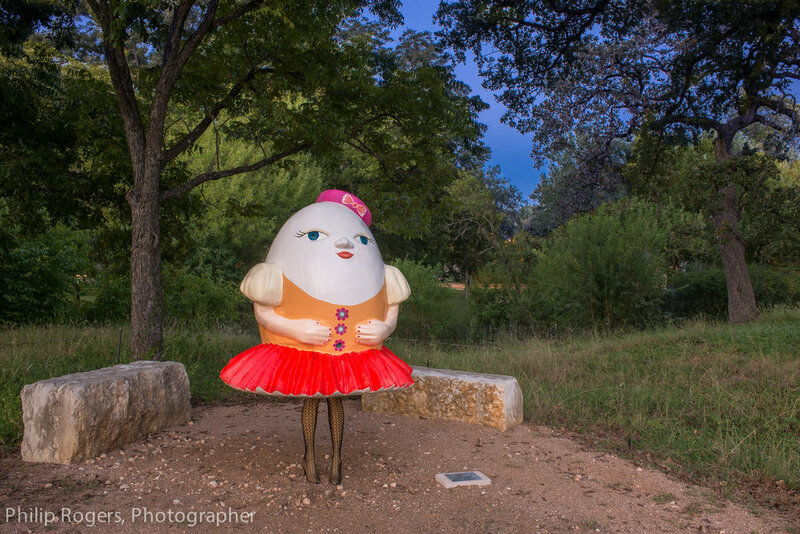 Humpty Dumpty is about examining traditional stories and reinterpreting them. It is also about merging visual art, movement and music. 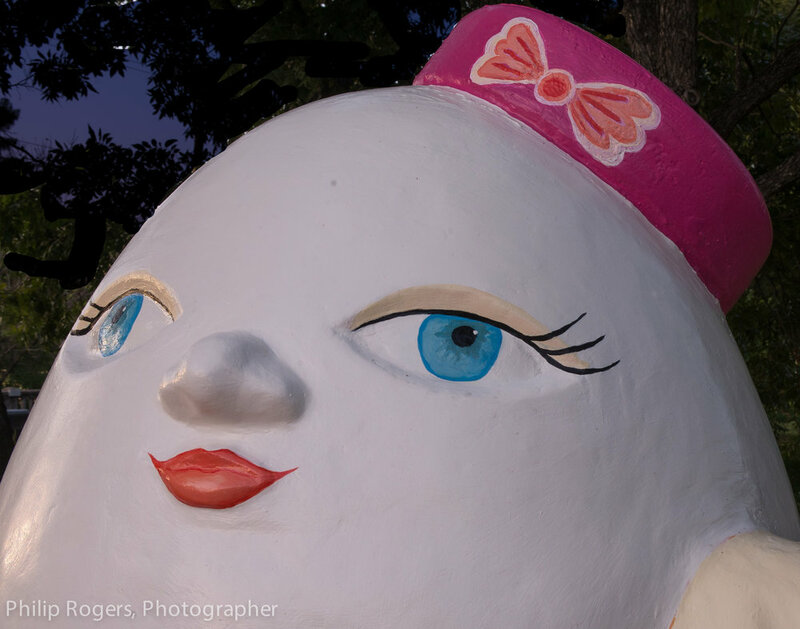 The cute plump girl version of Humpty Dumpty is intended to bring joy, amusement, and a sense of wonder. It also challenges the way we perceive gender and body image. Avenue G, between 44th & 45th st., Austin, TX. For the last few years I’ve been reading many children’s stories and rhymes to my daughters. 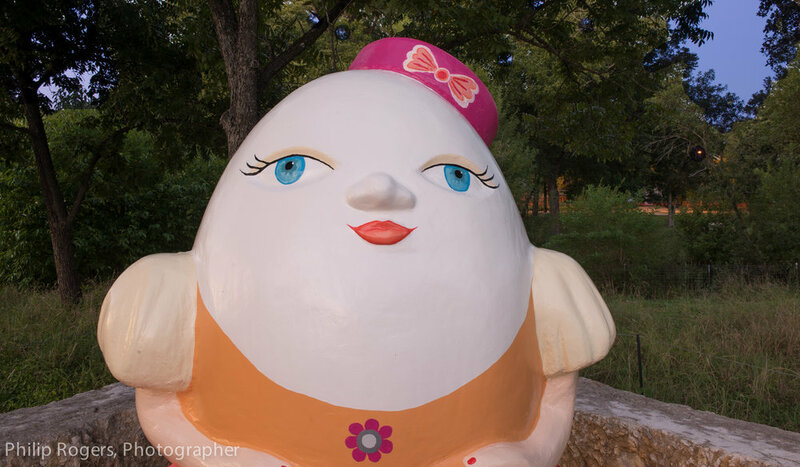 Humpty Dumpty has become one of their most favorite characters. Like so many of the characters I create, it is anthropomorphic, whimsical, and mysterious. It may also represent the human condition, fragile and easily broken. 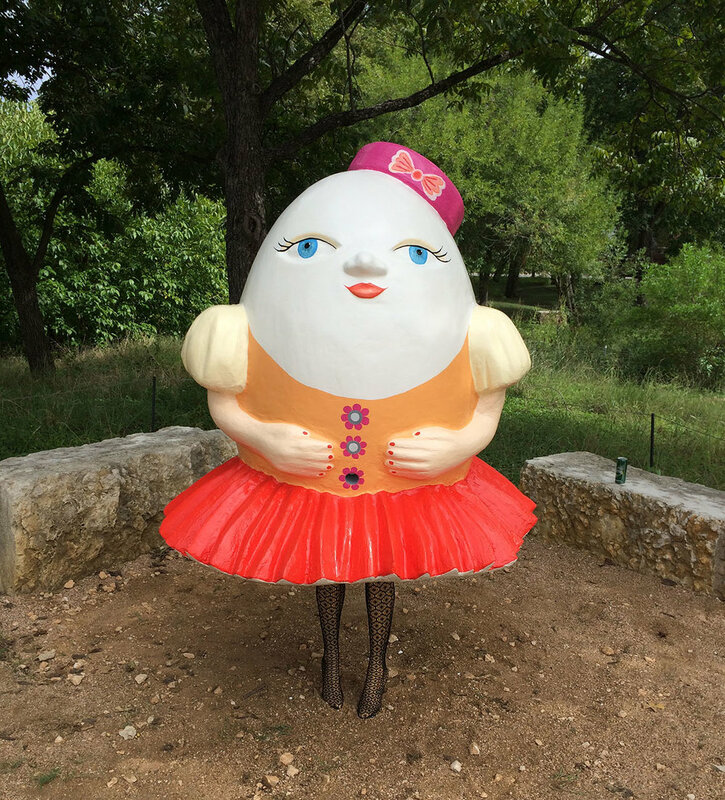 Humpty Dumpty is always pictured as a plump egg-shaped guy, so I wondered what it would look like as a girl, with stereotypical gender attributes: a skirt, lace, red shoes, and accessories. Humpty Dumpty is about examining traditional stories and reinterpreting them. It is also about merging visual art, movement and music.